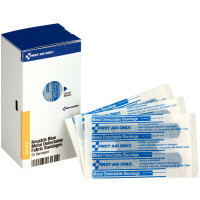 For Restaurants, Pharmaceutical, High-Tech, and anywhere loss can create issues. 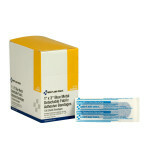 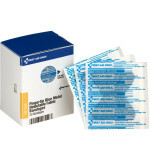 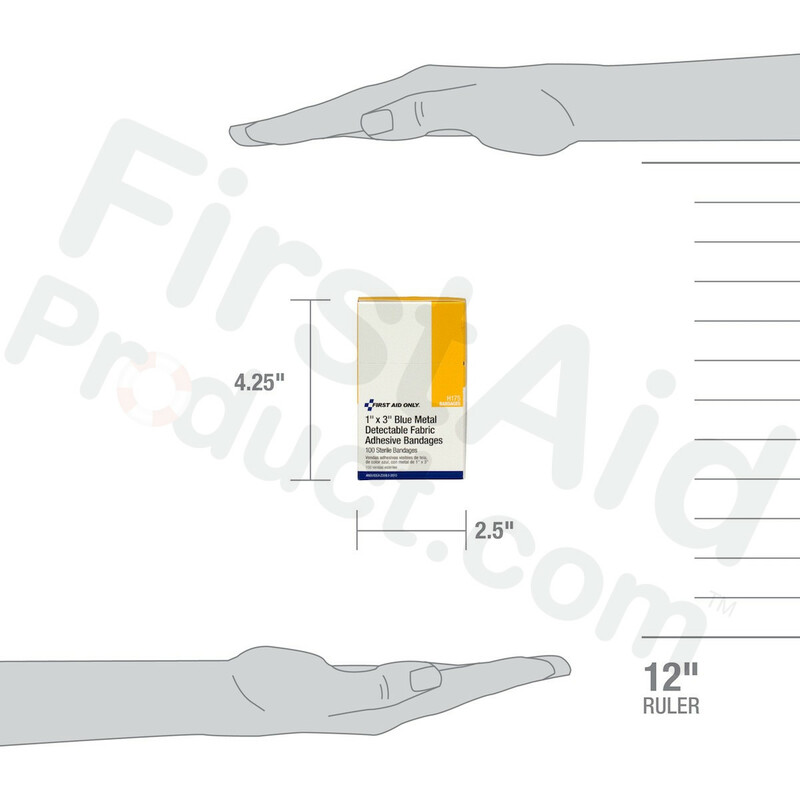 Our sterile blue adhesive bandages are widely used in food and pharmaceutical processing sites. 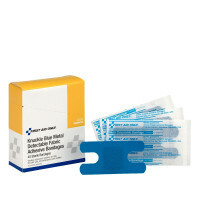 The internal foil makes quick detection possible through most metal detectors. 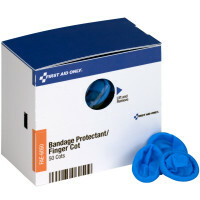 Also easily visible in case of loss. 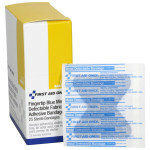 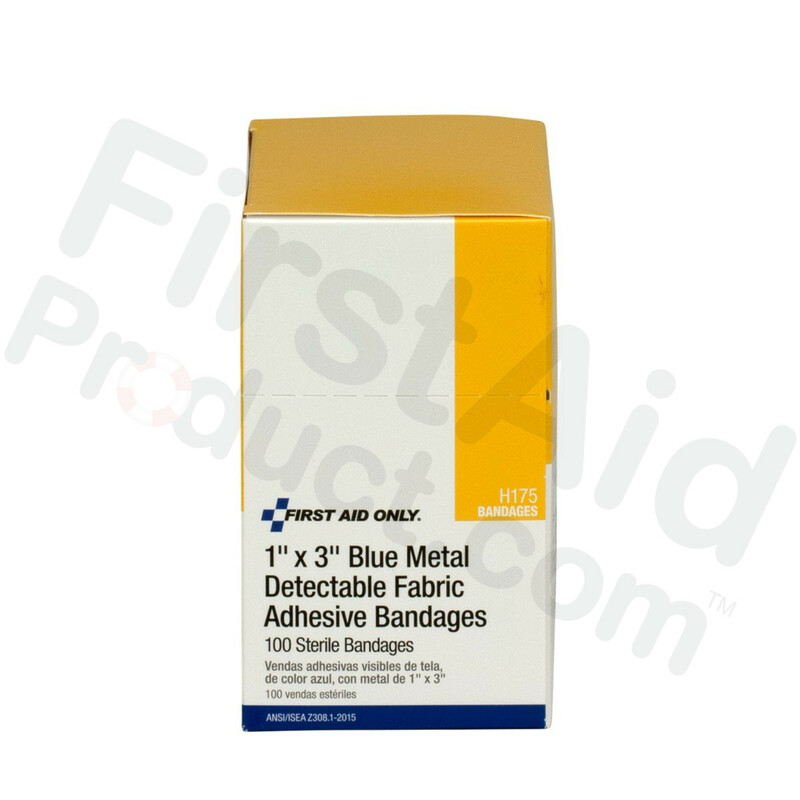 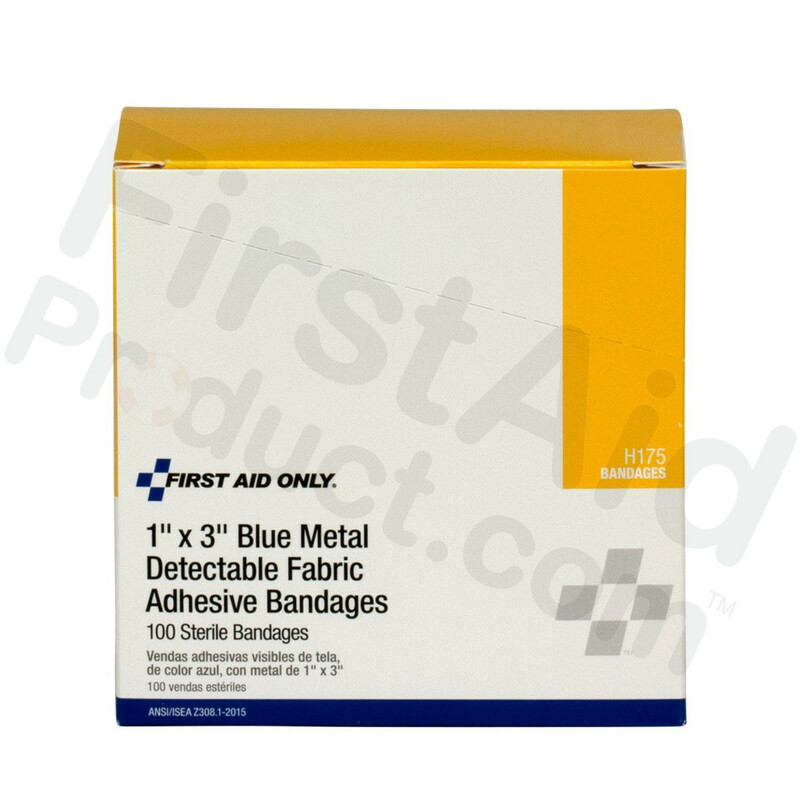 Blue Metal Detectable Woven Bandage 1" x 3" - 100/box.